February Photo Contest results are in! Our 11th Anniversary – we decided to make extra loops around the capital square in downtown Madison because we got so much fanfare! It has definitely brought our family closer in many ways. We love it. Thanks! The Runners up deserve a mention too because we had a hard time deciding and had to ask our own partners to cast their votes to break the tie. 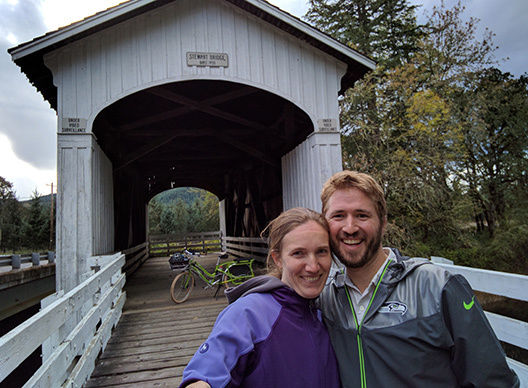 My husband and I took our Boda Boda V3 out for an anniversary date night by cargo bike to ride the Covered Bridge Scenic Bikeway in Oregon. 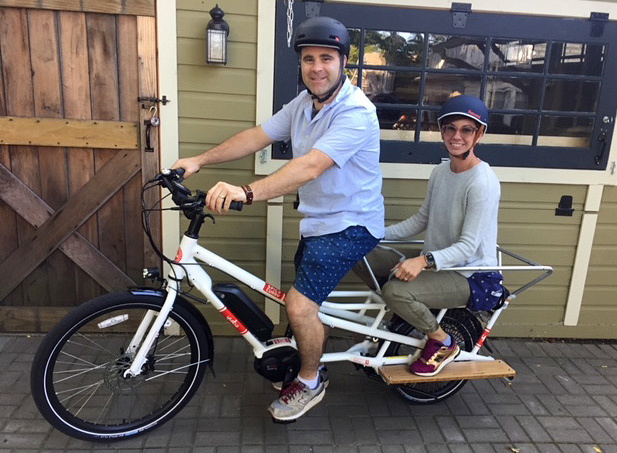 We took turns riding on the back!